Nylon nightgowns - are a staple in any well stocked lingerie collection. They’re affordable, easy to care for, widely available, and effortless to wear. Natori is known for it’s luxurious silk sleepwear, but did you know that they also make gorgeous nylon nighties as well? We adore their stretchy, silky-feel nighties that are every bit as sumptuous as their real silk styles. 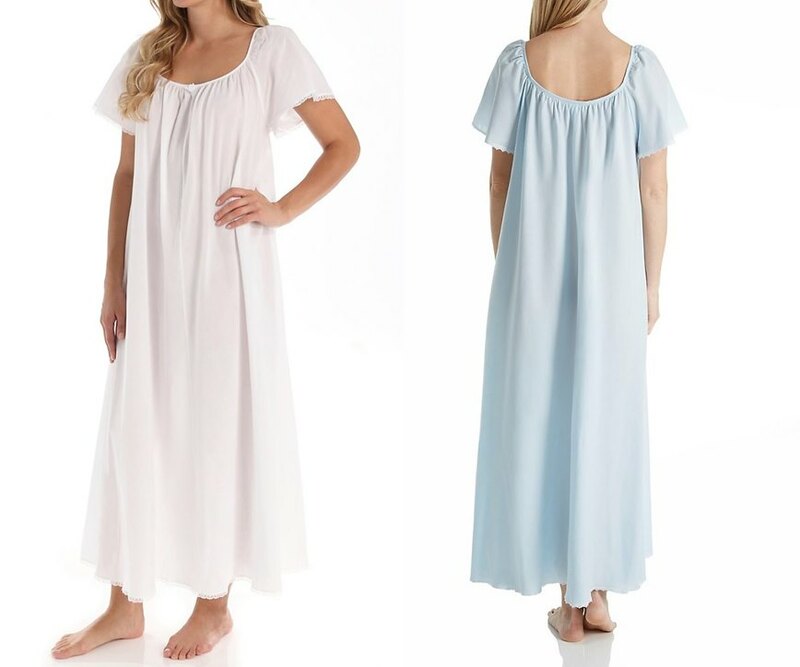 With their lace trim and classic colors, you’ll love the elegant and timeless look of these nightgowns that you’ll wear and cherish for years. Choosing a Natori nylon nighty gives you the experience of wearing a high-end designer at a much more affordable price. Shadowline was an easy favorite for our top 5 list. Their nylon ngowns are among the prettiest we’ve seen and there are endless style options for every woman. From their long sweeping gowns, to their short and sassy swingy styles, there’s something for every woman’s personal taste and body type. Play up your best assets and use their flattering cuts to mask your body flaws, so that you look and feel your best in these beautiful nylon nightgowns. We love the intricate details, lace applique, and finest quality craftsmanship that make these nighties feel ultra luxe and special. Nylon is a man-made material - lightweight and cool, it offers great coverage without making you overheat or become sweaty. Hanky Panky is everyone’s go-to brand for the perfect lace thongs, and their nylon nighties are no exception to their popularity and cult following. Their famous lace knitted nylon is stretchy, comfy and at the same time, beautiful and elegant. We love how pretty and feminine their simple chemises are, giving your lingerie collection a dose of modern sophistication that any woman will love. These stretch nylon nightgowns also make great layering pieces for under dresses, especially if you let a hint of the lace peek out. A great choice for travel as they save precious room in your suitcase, easy-to-pack nylon nighties are popular because they come in attractive and comfy styles. Amanda Rich is one of the world's easy-wearing sleepwear brands, so it’s no surprise that we adore this comfy nylon sleepwear. These nighties have the same couture details and styling that a lot of more expensive brands offer, at a more accessible price point, so you can stock up on several styles. There’s no need to choose just one when you can pick up a few of their nighties that are loaded with lace, sheer nylon, and bold colors, all in fresh and flirty styles. If you don’t already know Carole Hochman, you’ll love getting familiar with their line of gorgeous nylon nightgowns. Their beautiful basic chemises, slips, and nighties offer a style for any body. 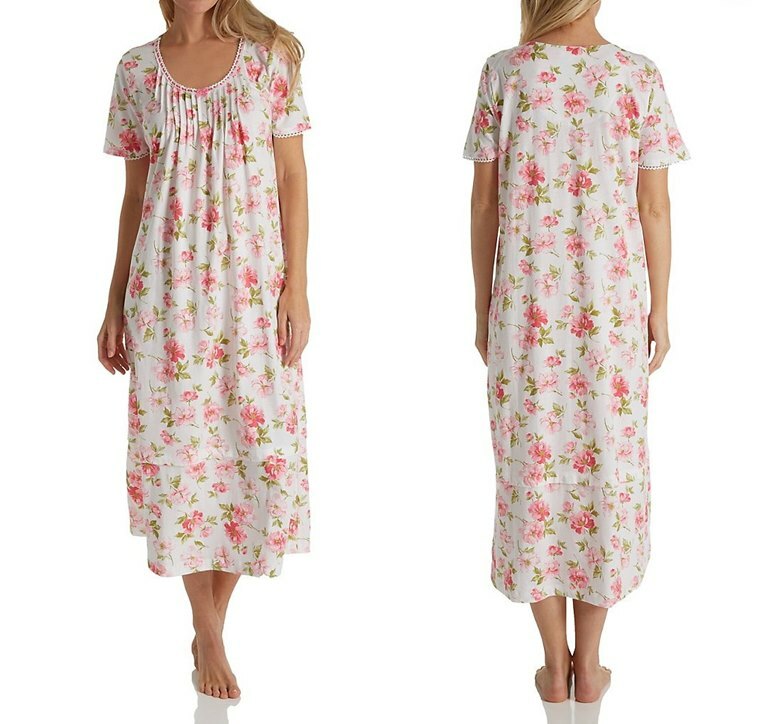 Their ultra fine stretch nylon makes their nightgowns feel comfy and plush. While their cuts are classic and simple, they surprise and delight with special details like lace and fluttered hemlines. Their universally flattering A-line styles are perfect for any body type and is a must have for women, no matter their shape or size, when they want to look their very best in nylon nightgowns.